Cleaning up the pet microchip mess. When I was a little kid my dog was stolen and we never got him back, so when I got Peeva, my dog now, I registered her microchip right away and I was sad to learn that veterinarians and shelters weren't scanning for microchips as their standard daily procedure. I identified this problem first hand one day when my dog Peeva was stung by a bee while we were out of town and I had to rush her to a nearby vet. While there I noticed she wasn't scanned for a microchip and when I asked why I was told I simply don't look like someone that would steal a dog. 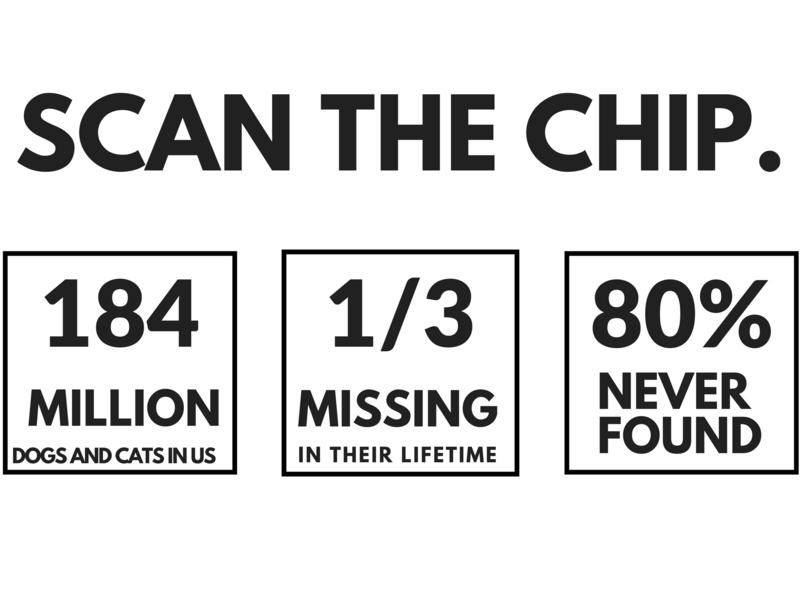 Out of all technologies that have been developed, marketed and sold to pet owners over the past 30 years, microchips have the most potential in resolving the missing pet problem by far. They serve as the only permanent form of identification for pets because they are implanted, whereas everything else attaches to a collar and collars can fall off or be taken off. They will also work 100% of the time if scanned and properly registered. This is why tens of millions of Americans have them implanted in their pets every year to ensure they will get them back in the event they ever go missing. Nevertheless, the missing pet problem in the United States is an epidemic and if scanning for microchips was the standard for all veterinarians and shelters, the epidemic could be reduced to a manageable problem. Why aren't veterinarians scanning for microchips? In getting to the root of the issue, we blasted out a survey to close to 2,000 veterinary professionals from coast to coast and learned many reasons. They will scan only if someone brings an animal in that they found to see if they could locate the owner. It’s much easier for a veterinarian to assume that the person that brought the animal into the vet is the pet’s rightful owner. "At least the pet didn’t wind up in a shelter." No standardization has led to a lack of scanning. There are multiple microchip companies, multiple scanners, multiple frequencies in which they operate, multiple cataloging systems, and multiple registration data-bases with no true universal scanner to read the broad range of microchips encountered by vets and shelters when they receive missing pets. This has led to a lack of scanning for microchips altogether. In the US, however, the Animal Welfare Act does not authorize the USDA-APHIS to regulate private pet ownership, and concluded that it cannot mandate a national standard for pet microchips or scanners. There has been a push towards an ISO standard here in the United States for close to 2 decades. That being said, this is a problem that isn’t going away on its own. Social causes don’t move mountains. The problem is also much more complex than that. People began microchipping companion animals in the early 90's. Avid was the first to go to the market and began encrypting their 125 kHz microchip to ensure they could not be read by any other brand's scanner. This was a monetization play as they had already captured a large percentage of the market. Veterinarians and shelters would then be strong-armed into purchasing their scanners and continuing to distribute their encrypted microchips. That led to the development of an international standard based on a radio frequency different from the128 kHz unencrypted and 125 kHz encrypted chips (produced by AVID) in the United States. There was a proposal to make the standard based on an unencrypted 125 kHz but there was a lack of consensus (and) support by the manufacturers, who felt this would favor Avid over the others. As a result, a completely ‘new’ communication frequency was the only acceptable compromise. The predominant signal for ISO then went with 134.2 kHz. In 1996 the International Organization for Standardization (ISO), set the ISO guidelines for microchips and, according to a report by the American Veterinary Medical Association (AVMA), they were accepted by Asia, Australia, Canada, and Europe. Although the American National Standards Institute ANSI, a non-profit organization that coordinates voluntary standards in the private sector, endorsed the ISO guidelines, U.S. companies competing for market share objected for business reasons and claimed the new standard violated patents and threatened litigation if the new standard was brought to the US. In addition to ISO 134.2-kHz chips coming in, AKC CAR began in 2007 to distribute chips made by Trovan Electronic Identification Devices Ltd. that operate on 128 kHz. Unlike AVID, Schering-Plough, through its HomeAgain business unit, began selling an ISO-compliant 134.2-kHz chip, but they also continue to sell a 125-kHz chip. Their strategy is to sell more microchips as the majority HomeAgain chips are outfitted with 125-kHz devices, the company’s sales are split evenly between the two options. Dr. Linda Lord, at Ohio State University’s College of Veterinary Medicine, tested the scanners currently going to market as Universal and found neither to be 100% accurate. She fears A. People will eventually stop implanting microchips in their pets if they think they don't work and 2. Veterinarians will eventually write the technology off. 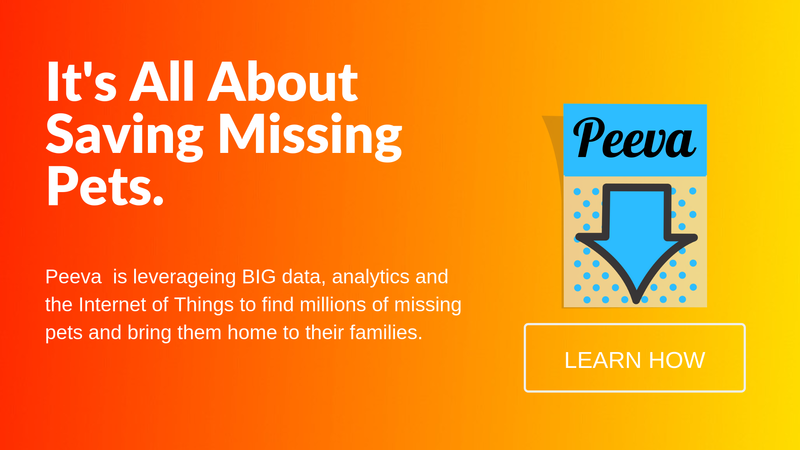 To resolve the missing pet epidemic a better system of data management is needed. If a microchip can be scanned — let alone detected — multiple registries need to be visited until a match is found. Then that registry needs to be called. Calls are often placed on hold for long periods and veterinarians do not have the time staff or resources to accommodate for the overall process. It is much easier to assume the person that brought in the stolen pet is the rightful owner. Aren't there central pet registries? 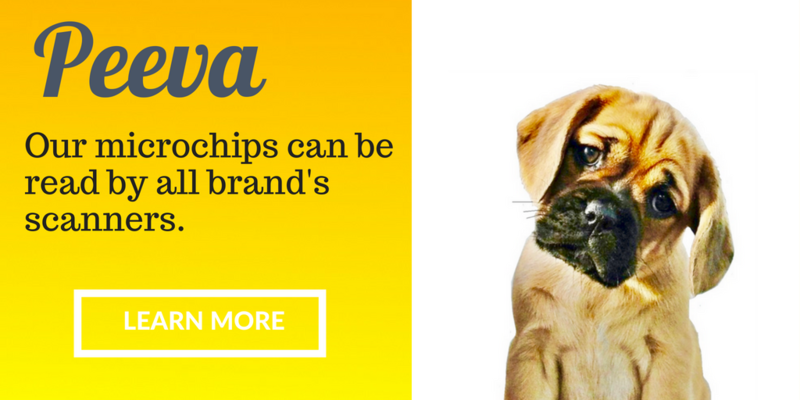 The AAHA universal pet microchip lookup tool, for example, requires that the microchip also is registered with the primary registry of the brand of microchip that the pet was implanted with. It also puts the onus on the pet owner to register with the AAHA tool directly. 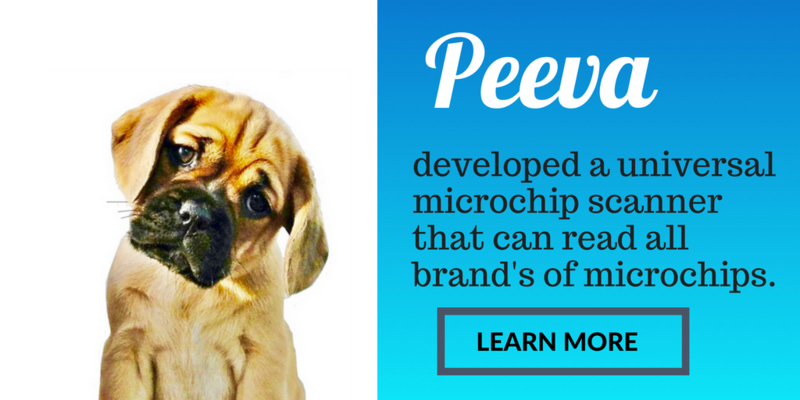 Pet owners are not aware of the lack of standardization issue that Peeva is resolving in the first place, so it should never be assumed a microchip is not registered if it can-not be found in the lookup tool. The look up tool does not provide the pet owner’s contact information. It provides the name of the primary registry the microchip is registered with only. Then that registry needs to be called. The look up tool does not aggregate data from the various registries of the various microchip companies all competing for market share. That is a big part of the data problem peeva is resolving. In conclusion, the pet microchip lookup tool is far from comprehensive.